What's this synth worth to you? 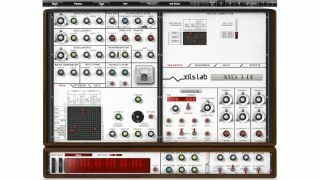 XILS-Lab's XILS 3 plugin synth has received glowing reviews over the past few years, and now version of 2 of its little brother - XILS 3 LE - has been released. Available until November 1 on a 'choose your price', it's available for as little as €4. That said, XILS suggests that you might think it's worth €7, and if you're willing to pay €10 then you also get Xilssentials, a soundset for the plugin. The standard price (which will presumably apply once we get into November) is €34. XILS 3 LE 2.0 emulates the classic EMS VCS 3 synth and 256 analog sequencer, and lets you connect "everything with everything". That means there are up to 440 possible different connections per patch. It features the same audio engine as XILS 3 and XILS 4. Find out more on the XILS-Lab website, where you can also download a demo. 6 Play modes (including Unison 2/4/6), Polyphonic and mono Portamento/Glissando/Legato, 2 different Keyboard Scaling, Polyphonic Aftertouch and VCA handling.